The Cuban company SOLINTEL (acronym for Comprehensive Solutions for Communications) will participate in the CeBIT, the largest and most internationally represented computer expo, in Hanover, Germany. Adriana Tellez, of the Communications department of SOLINTEL, said the Cuban Chamber of Commerce made the coordination for them to have a stand in the world´s largest fairground, along other Cuban companies. She said her company will try to identify in the expo that runs from this Monday through the 24th producers and providers of products or solutions for the computerization of Cuban society. 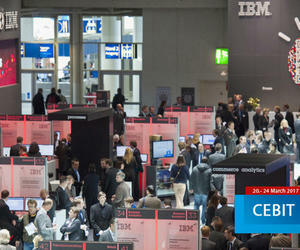 CeBITis considered a barometer of current trends and a measure of the state of the art in information technology. It is organized by Deutsche Messe AG.